Third Street will be closed at 9:00AM. Parade starts at 10:30AM. No fire trucks will be in the parade. “Hear ye, hear ye, all those fond of food and noise. 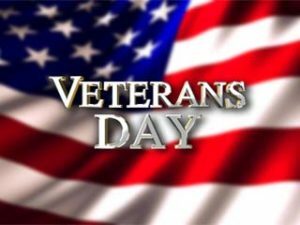 The First Company, Fort McIntosh Garrison and its parent organization, the Beaver Area Heritage Foundation, would like to invite the public to our Veteran’s Day weekend ceremony. The Garrison, which consists of Revolutionary War reenactors, will encamp on the eve of Friday, the 9th of November. The camp will be open for visitors all day Saturday, November 10th, including contemporary everyday activity and displays. The flag raising, accompanied by musket volleys, will occur at 9:00 AM. The parade on Third Street starts at 10:30AM. After the parade, at approximately 12:30, there will be a short ceremony acknowledging the gift of a cannon carriage from the Beaver Area Heritage Foundation to the Garrison. This will be followed by two or three rounds of cannon fire, circa 1 to 1:30, followed by the offer of a bowl of Fort McIntosh stew and bread to all present. If you like to eat and don’t mind loud explosions we look forward to seeing you on November 10th.